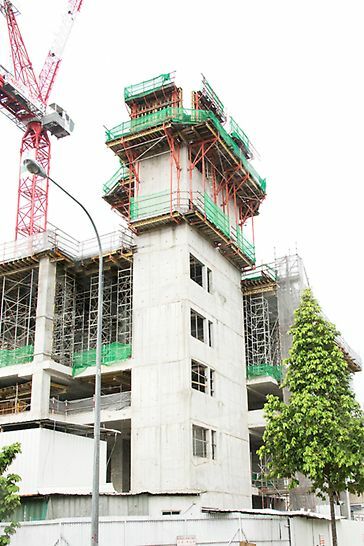 One of Singapore’s oldest and largest candy factory and now producing rock, red and black sugar, will have its newly developed 5-storey warehouse ready by 2019. The main focus of the construction work was to coordinate the wide range of formwork used with a tight schedule and high material requirements that we have to take into consideration. The combination of the PD 8 Tableform and ST 100 Stacking Towers was ideally suited to use for the slab and cantilever slab. 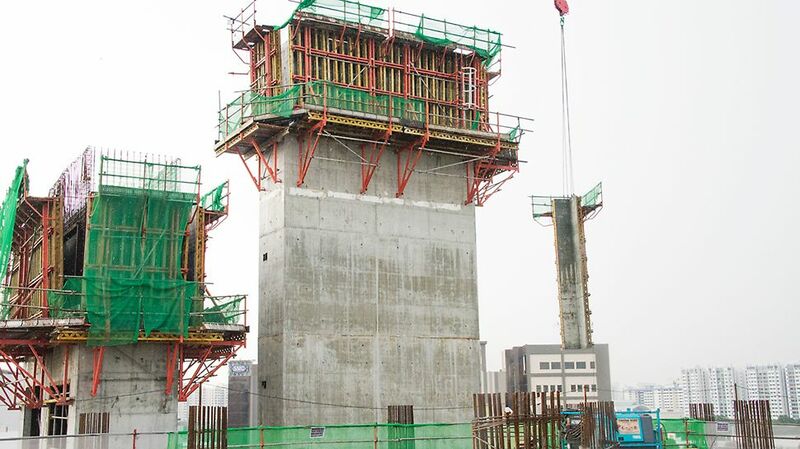 For the constrution of the staircase and liftcore wall, VARIO GT 24 Girder Wall Formwork was connected with CB 240 Climbing Brackets to form large-sized units. This allowed safe working conditions at all heights with easy handling with trouble-free adaptation. 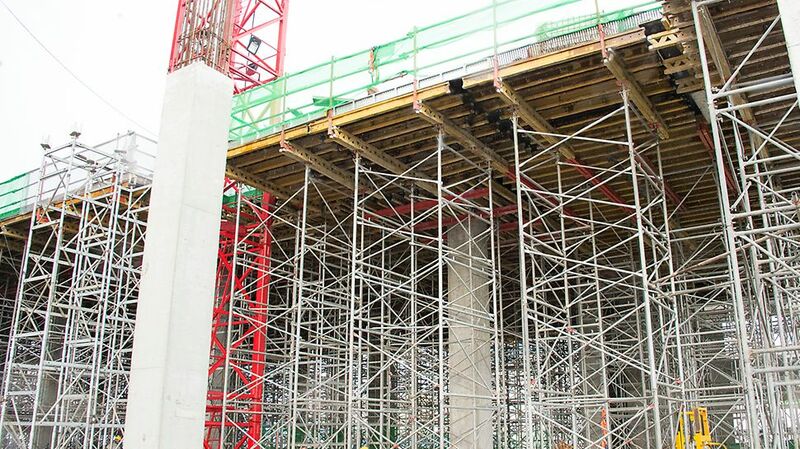 ST 100 Stacking Towers are used for the ramp and cantilever slab. 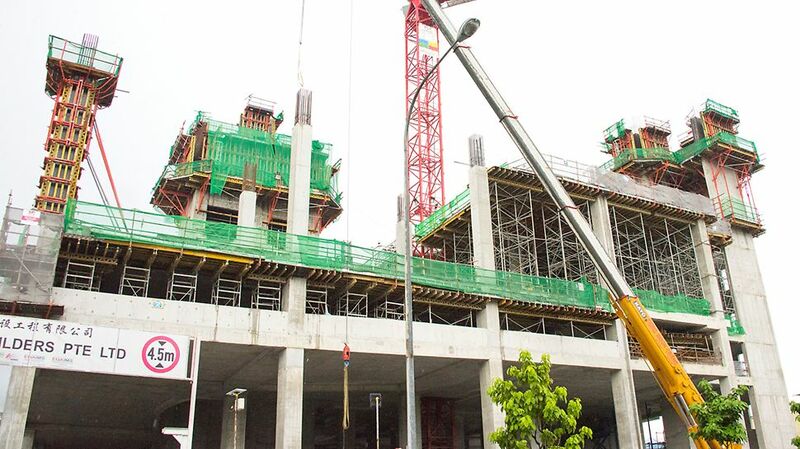 Both PD 8 Tableform system & ST 100 Stacking Towers are used for its shoring purposes as it can be quickly adapted to suit different floor heights. VARIO GT 24 Column & CB 240 Climbing System are used for the column, staircase and liftcore wall.